Magical Messes: Joy Layout and a Chickaniddy Year in Review! I was pretty darn pumped to find the Crate Paper Bundled Up paper pad at Tuesday Morning for about $5! I loved the collection but didn't NEED it, so I passed on all but a few sheets. My self control totally paid off, since I ended up getting such a great deal on it! For this layout, I used this cut file. I had it in my library for quite some time, but had never used it. I thought the "O" would be a great place for a photo! I cut it out with white cardstock, then got to work creating my background. I placed strips of various lengths on a piece of cardstock, working from the middle out. After I had filled up the middle, I placed strips vertically to fill up the remaining space. Because the background and die cut had a lot going on, I kept the embellishing to a minimum. I love the colors of this layout! 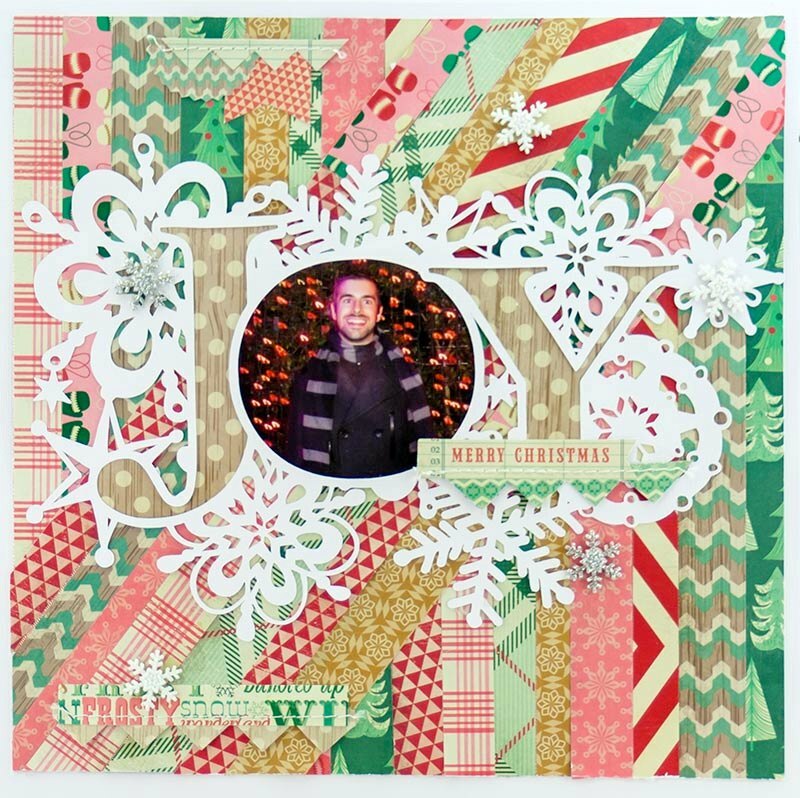 I've been on a huge Christmas/winter scrapbooking kick, so look for even more holiday-themed layouts coming soon! 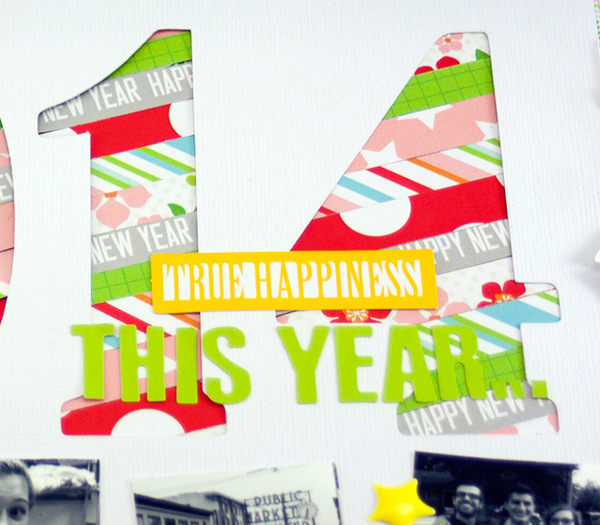 Also, I have a "Year in Review" layout on the Chickaniddy blog today. It was my first time doing a year in review, and I really enjoyed it! Those are great. 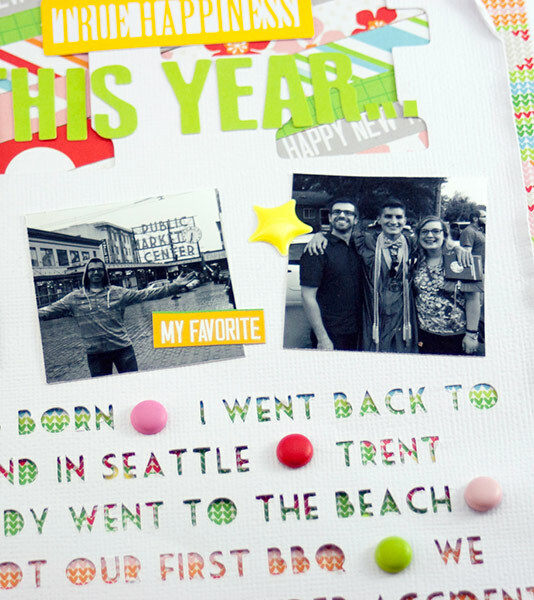 I love the cut file on the 1st layout!